Sacrifice Field is an area at Fort Benning, GA, headquarters for the US Army Infantry, where 68 spaces are set aside for use of each Infantry Division in the US Army. 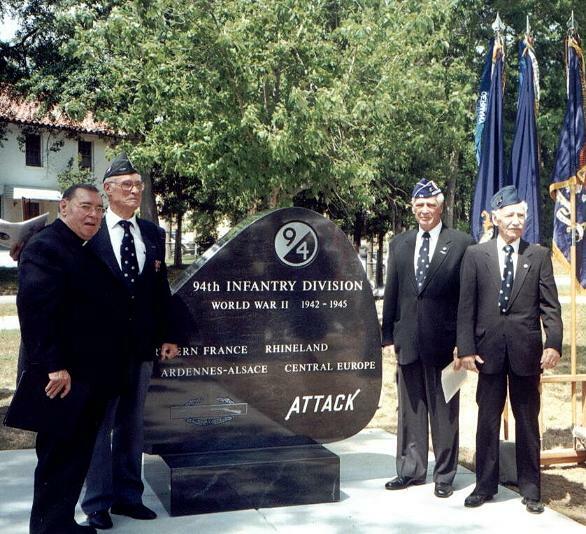 On April 23, 2001 a dedication ceremony was held for the just completed monument to the 94th Infantry Division. Approximately 140 members of the Division Association and families were in attendance in addition to the base commander; the Troop Commander; the military attache from Czechoslovakia to Washington, DC and approximately 50 personnel from the Post who served as Band, Color Guard and Honor Guard.